The BarWise bottle opener with cap collecting container by Joseph Joseph is the perfect opener for parties. The opener collects the caps inside, until you find the next bin to empty it. The bottle opener captures and keeps up to 16 crown caps inside. This makes the opener handy in the garden or at parties and avoids lying around caps, which need to be picked up one by one afterwards. 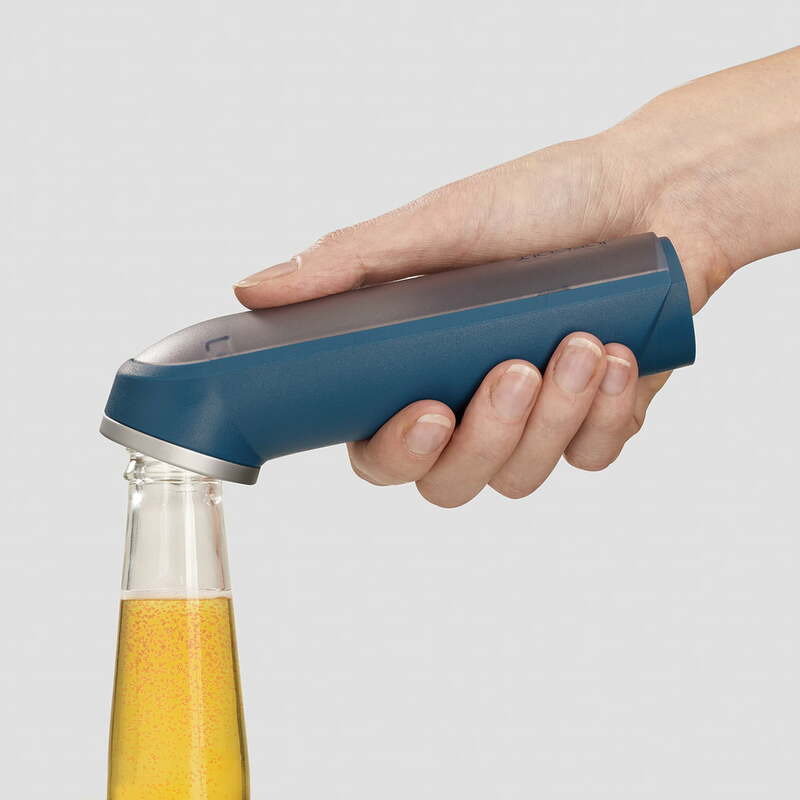 Like any other bottle opener, simply push the bottle opener's mouth onto the top of the bottle and lever off the cap to use. The crown cork will automatically be captured inside of the opener. To empty the opener, simply open the container's base. The BarWise bottle opener with cap collecting mechanism by manufacturer Joseph Joseph in blue is part of the eponymous collection of openers for the bar area. 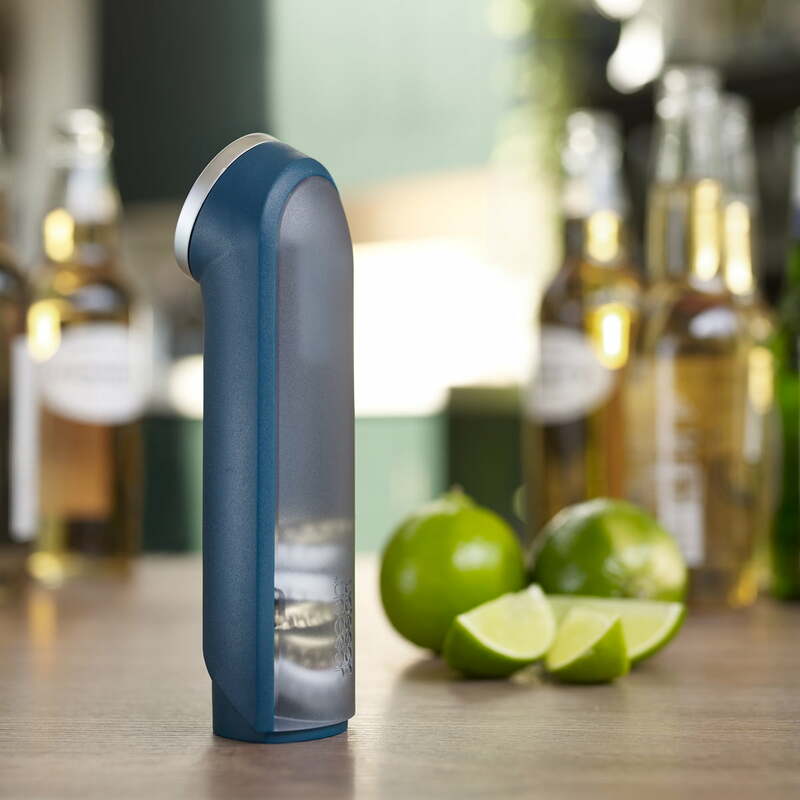 The BarWise bottle opener with cap collecting container by Joseph Joseph in blue is placed as any other opener on the bottle’s top to lever the cap off. 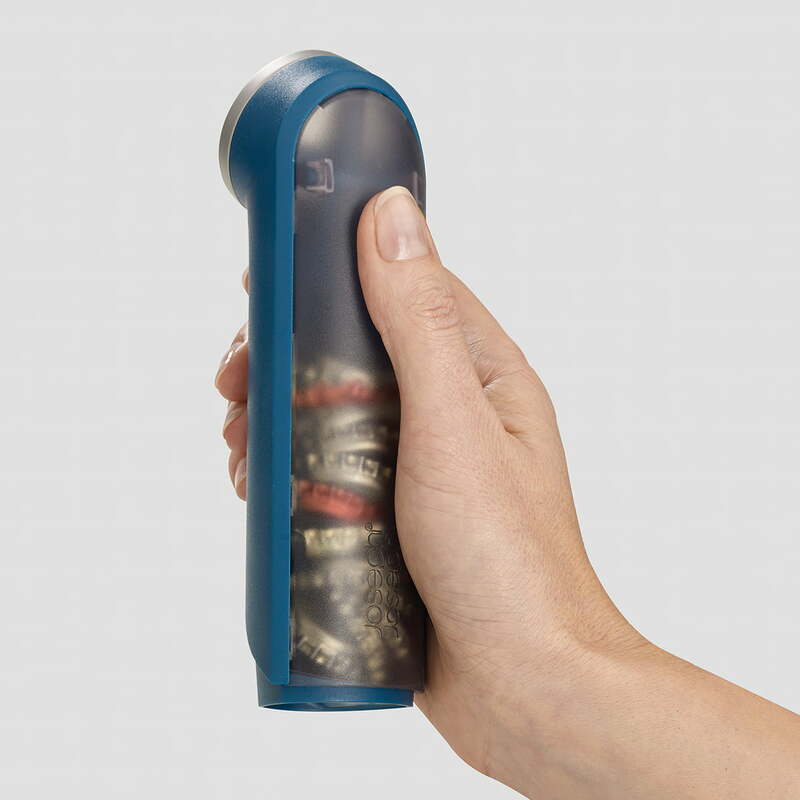 The BarWise bottle opener with cap collecting container by British manufacturer Joseph Joseph in blue collects the caps inside until emptied in a bin. 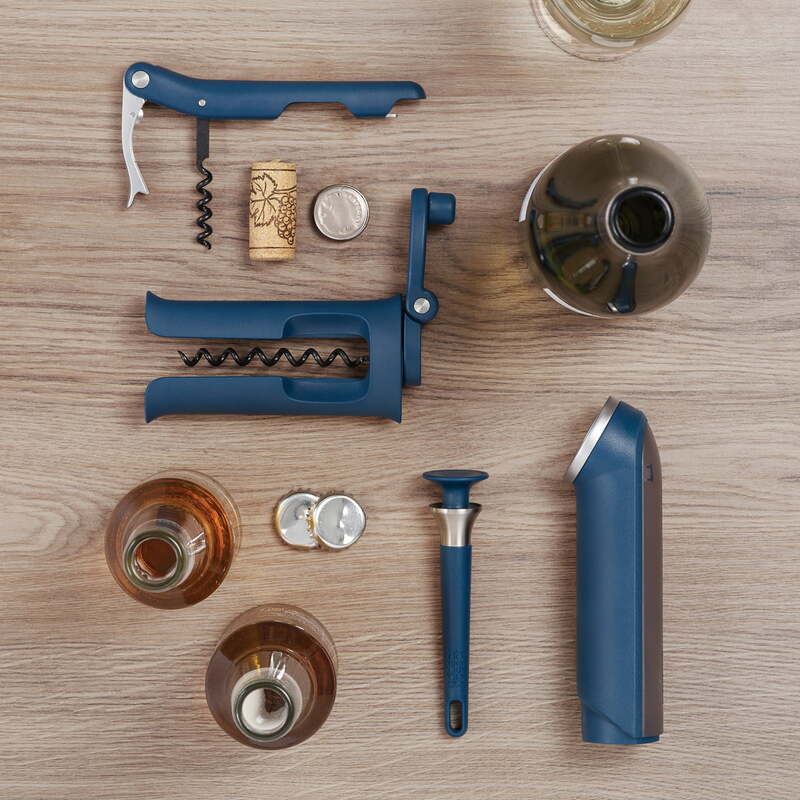 The crown cork will automatically land inside the BarWise bottle opener with cap collecting container by Joseph Joseph in blue. To empty the opener, simply open the container’s base. 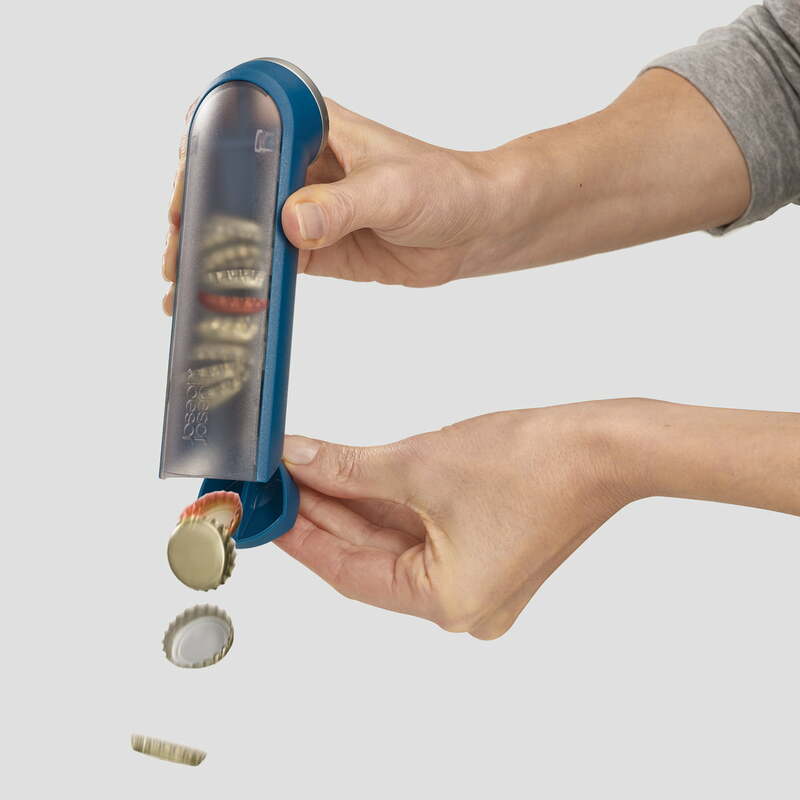 The bottle opener captures and keeps up to 16 crown caps inside. This makes the opener handy in the garden or at parties and avoids lying around caps, which need to be picked up one by one afterwards.